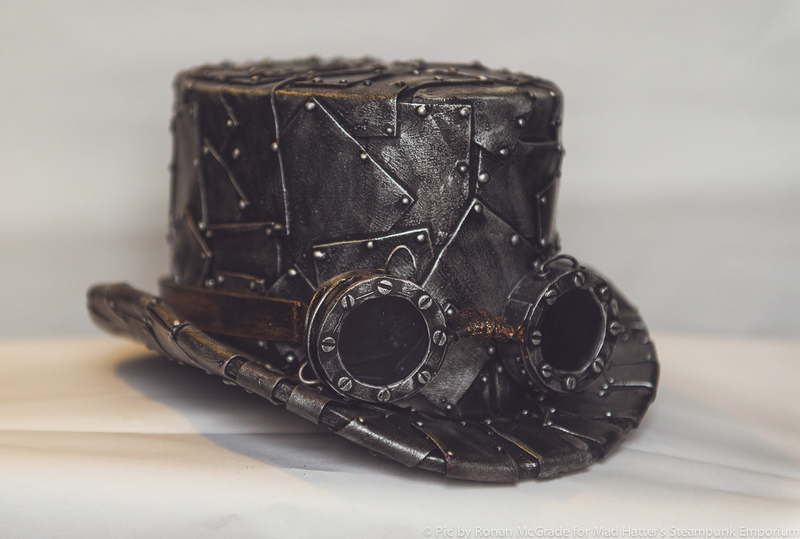 Keep all those evil thoughts locked away, safe for another day with the Keyhole party hat. 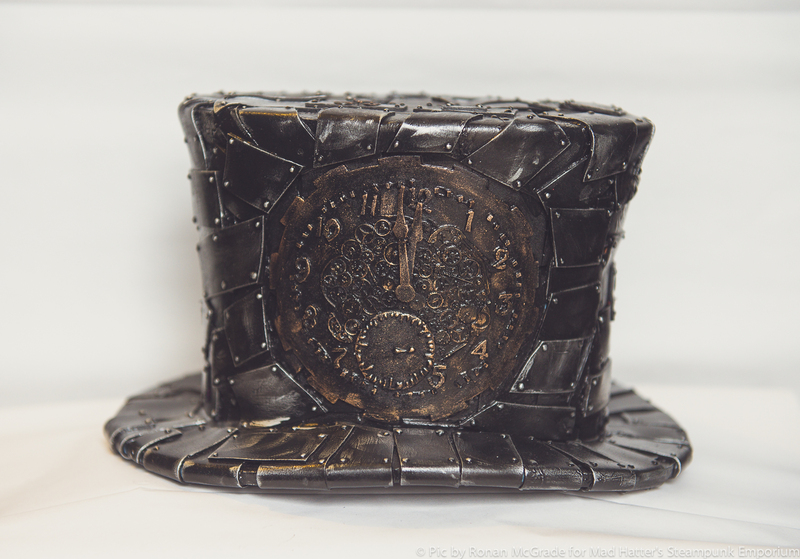 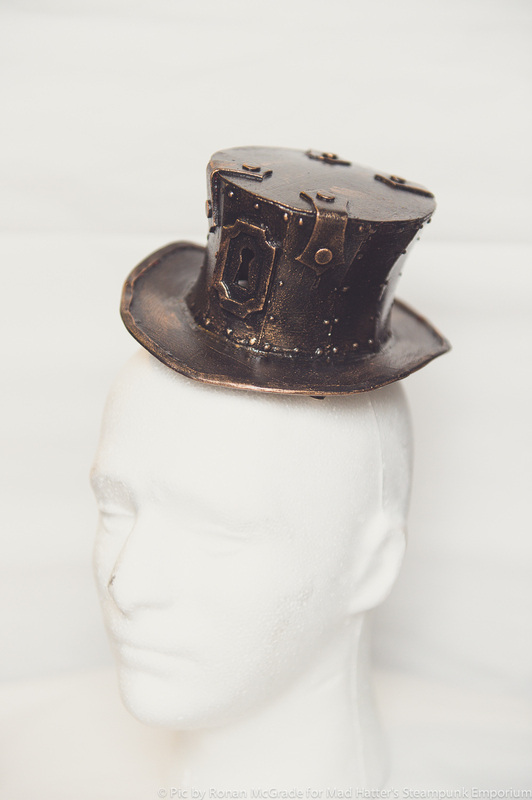 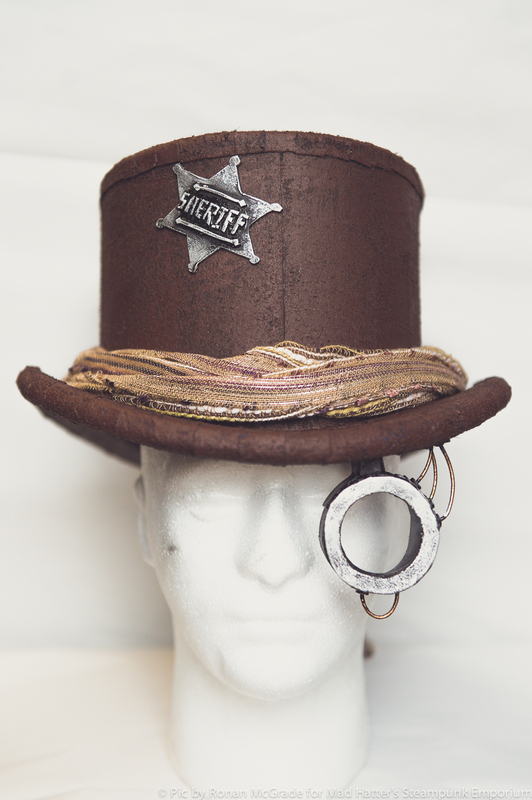 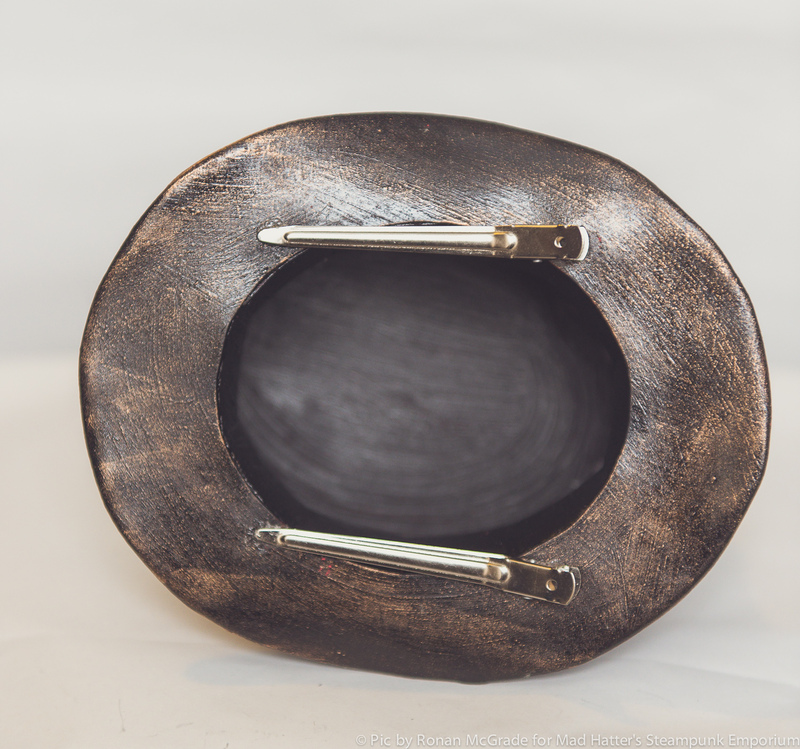 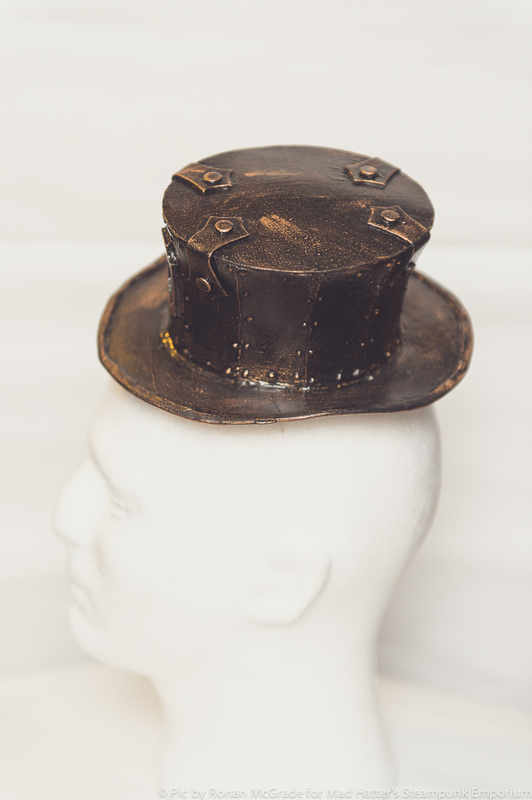 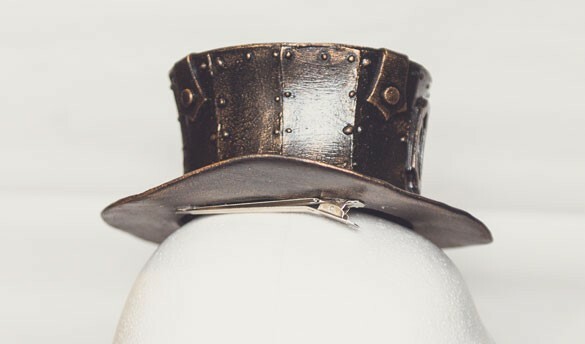 This treasure chest hat comes in two heights and is available in a copper or silver finish. 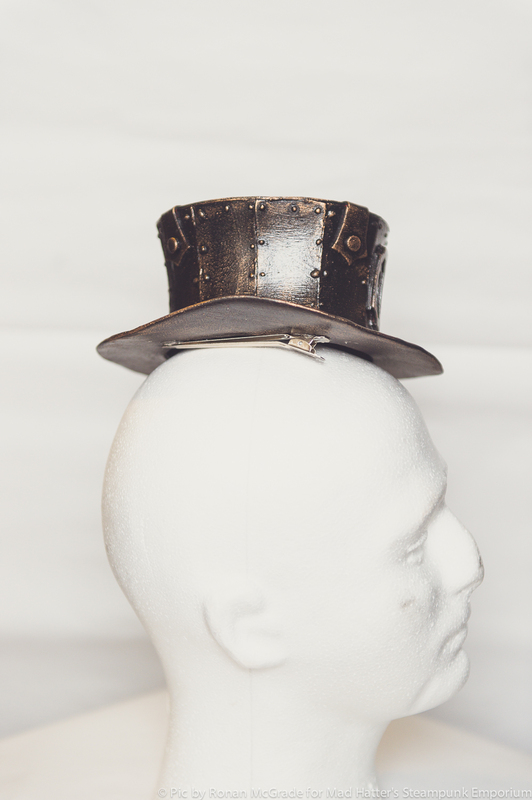 mini hat stays securely on your head thanks to two discreet hair­clips under the brim. 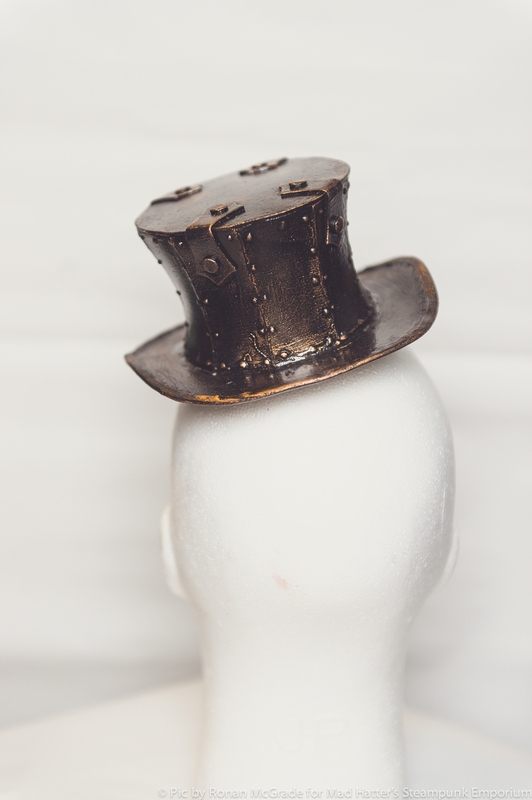 Get in touch with the Mad Hatter himself via Facebook.